I signed up for the Biggest Loser Challenge at the Carroll Wellness Center to get a jump-start on weight loss. I was a very active person until I had some health issues 2 ½ years ago. It took me two years to get over my health problems. While having these problems, I was unable to be active and gained 40 + pounds. With the extra weight, I didn’t feel like being active. When I got the email from CWC about the challenge, I decided to give it a try. This was exactly what I needed. In the six-week period, I was able to lose 16 pounds. Since then, I have lost additional weight for a total of 25 pounds. I feel so much better both physically and mentally. I also have more energy. Working together as a team made a difference. I did not want to be the team member that let my teammates down, so I pushed myself. As a team, we worked together along with our trainer and kept each other motivated. 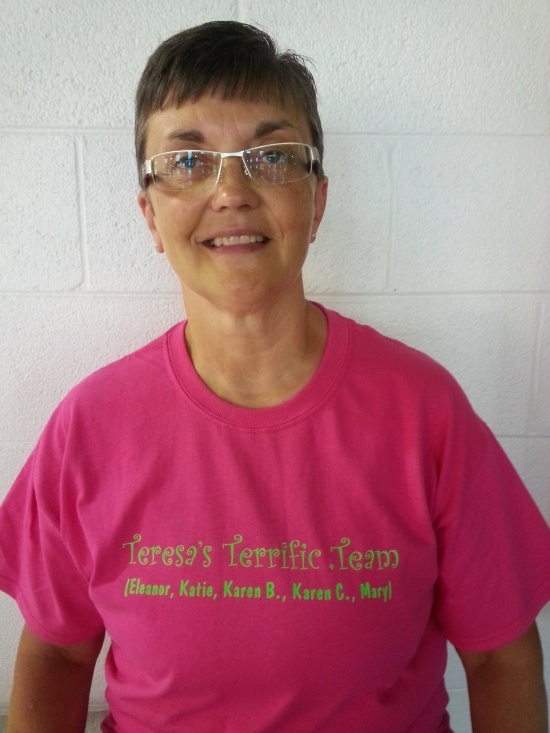 Teresa Roberts was our trainer and has helped me tremendously. She has taught me a more efficient way to exercise. Teresa also coached us on what to eat. She was a motivator to our team. I feel more fit now than ever. My passion is cycling. I am able to ride some hills that I used to have to get off the bike and push. Teresa also taught us how to work out in the water. The water workouts have been great, it is a hard workout, but you don’t realize how hard you are working. My goals for the future are to continue to live an active life and continue to eat right. I have a goal to do the Ramblin Rose triathlon in Winston Salem on August 17th. This is an event for women only. It requires swimming, cycling and running. I feel strong about the cycling and running, however, with additional training from Teresa, I feel confident I will be ready for the swimming portion. I am also planning to do the New River Duathalon in August this year. Competing in the Biggest Loser Challenge has helped me get back on track. I would recommend this program to anyone looking to get more active.